I just saw this on Manhattan Avenue. Words fail me. 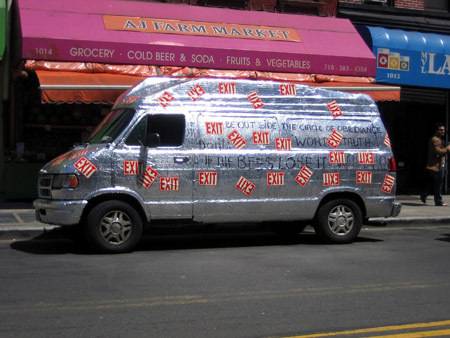 Thankfully the owner of this van has more than enough to say. Exactly what point he is trying to make, however, is anyone’s guess. 2 Comments on Break on through to the other side! 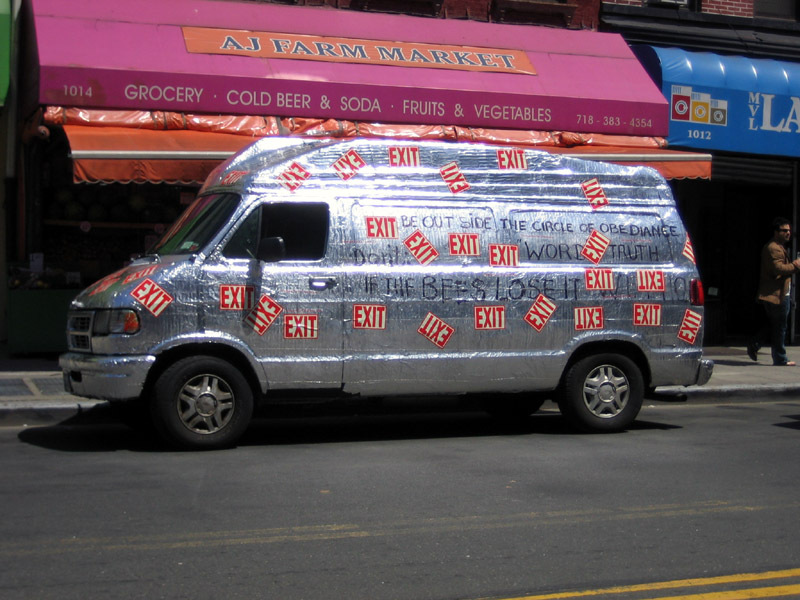 A new local guerrilla marketing scheme for club Exit? I doubt it. Too illucid.